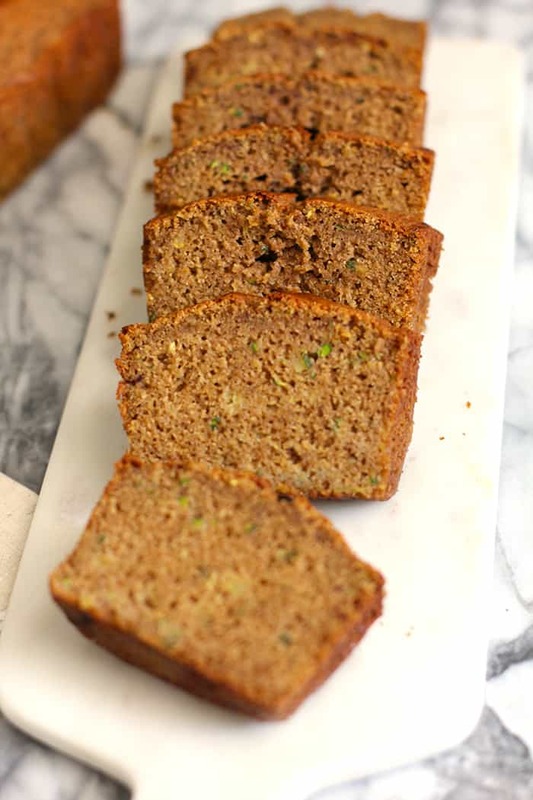 Honey Cinnamon Zucchini Bread combines fresh zucchini with honey, cinnamon, molasses, coconut oil, buttermilk, white whole wheat flour, and brown sugar – to make the most interesting quick bread. The taste is out of this world and reminds me of fall! I definitely have a thing for quick breads and muffins. The evidence is HERE if you want to go check out some of the others. But in all fairness, it’s been a few couple of months since I published one. These breads are great to share with your neighbors and friends, and I always have a couple of loafs in my freezer. YAY for freezers! 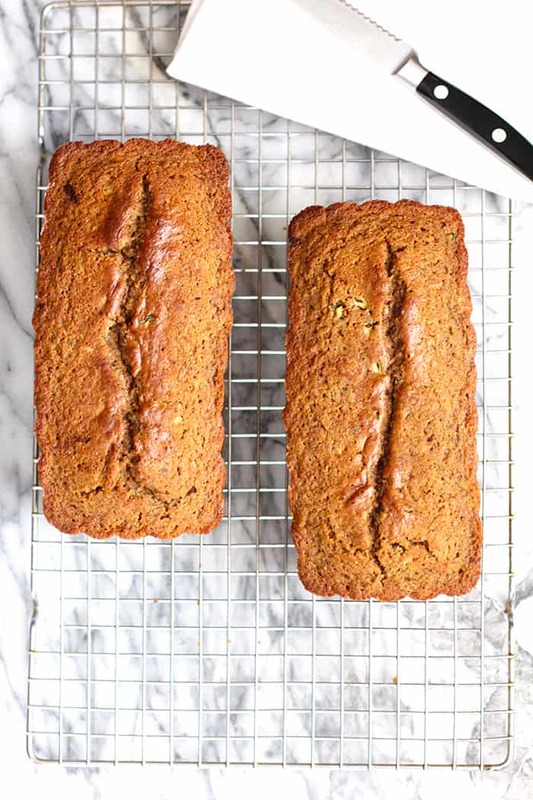 This Honey Cinnamon Zucchini Bread is part of my recent zucchini craze. 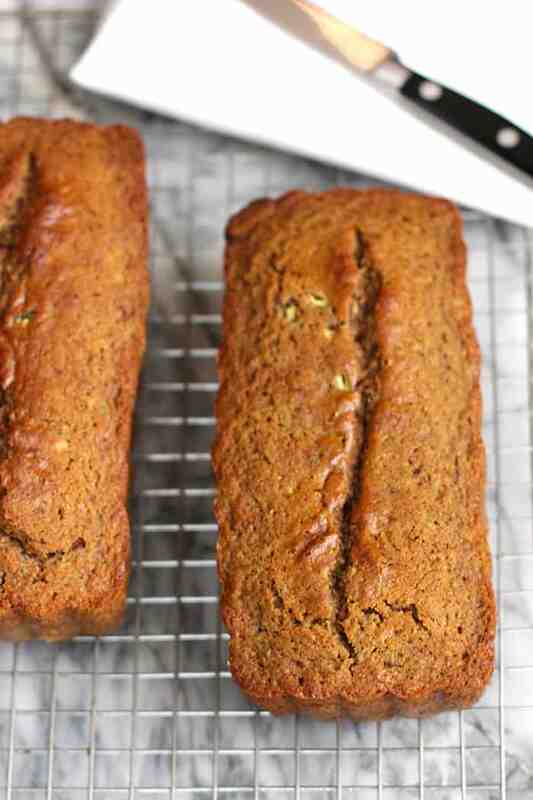 I love the way zucchini creates moisture in baked goods. It’s like an awesome magic trick, and I just keep using it over and over. I put a little bit of a healthy spin on this bread too. Of course, there IS sugar, but not an over-abundance. Btw, it is so true about getting your kids started on vegetables early on in life. If they get used to eating their greens, they will learn to love them and appreciate the healthy benefits. We also love to slice zucchini the long way – into about 3-4 thin slices – and grill them with a touch of olive oil and seasonings. They’re great with any protein that you’re grilling up for dinner. 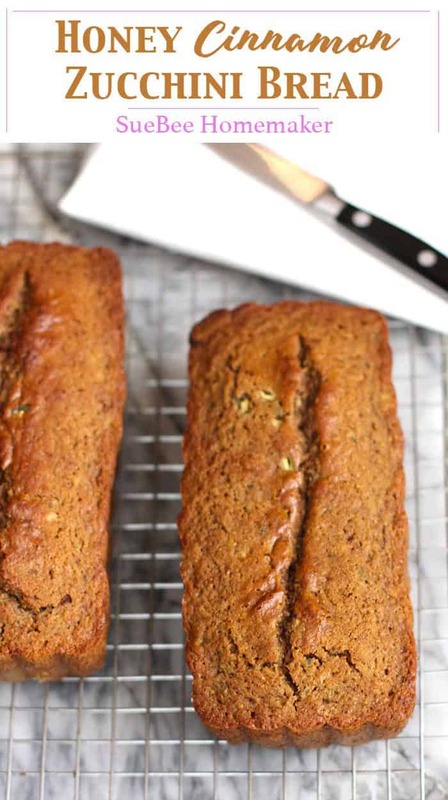 Combine fall flavors with zucchini to make the most interesting quick bread. The taste is out of this world and super moist! Preheat oven to 350 degrees. Prepare two loaf pans with baking spray. In a large mixing bowl, whip the egg, and add canola oil, buttermilk, vanilla, honey, and shredded zucchini. Mix well. In a separate mixing bowl, mix together the dry ingredients - the flour, sugars, salt, baking powder, cinnamon, and pecans. Pour batter into the loaf pans. Bake for 40-45 minutes, or longer, just until a toothpick inserted into the middle of the bread comes out clean. Remove bread to cooling rack. Store in airtight container or freezer bags. This bread freezes well up to three months. Hi Shija! You can just leave the molasses out, or add a Tablespoon of honey. Enjoy! I ❤️ the new addition to your bread collection. This is especially great with your morning coffee! 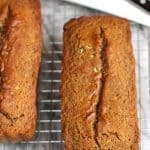 Coffee and zucchini bread is the best combo!